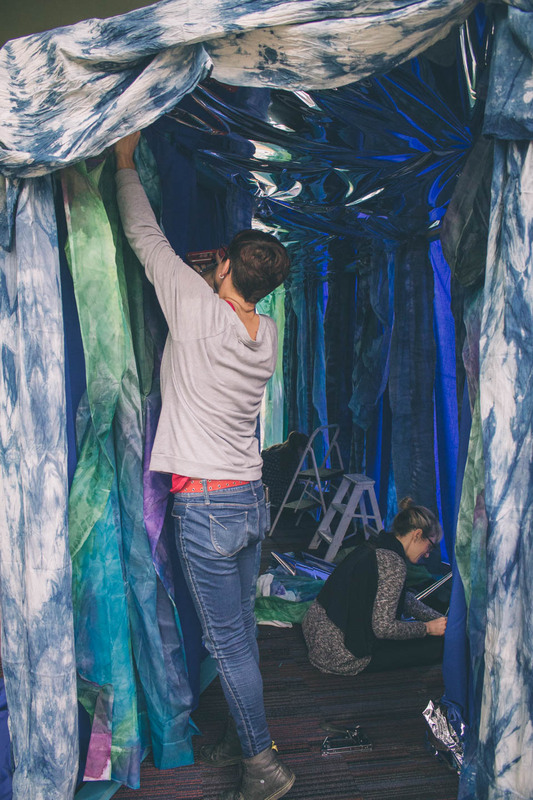 With support from Broadway Across America and the Kentucky Center for the Performing Arts, Louisville Visual Art's Ehren Reed worked with eighth grade students at Western Middle School to create this immersive installation in anticipation of the upcoming performance of "The Little Mermaid". The students explored a variety of textile techniques including traditional Japanese indigo dyeing and silk painting to create this work. Thanks to Western Middle School teachers Amanda Thompson and Becky Kelm for their participation and support! You can see the installation in person from now until February 19th.